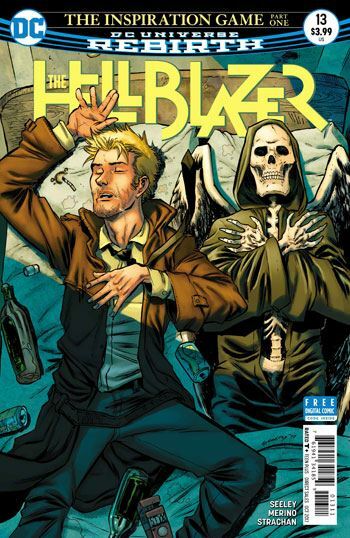 John Constantine is accused of the murder of an inn keeper by a former girlfriend who is now a police detective. He creates a spell to remember what he might have missed in an old bar he used to go by using bacon fat. And he remembers. But what will past memories say about his possible implications in the murder of the inn keeper? I enjoyed reading this issue. It felt just right, like the old Hellbllazer stories I used to read in the 1990s. Constantine is his acerbic self commenting and plotting the downfall of some demonic nuisance that annoys humans. Tim Seeley adds just enough wit and pathos in the story. 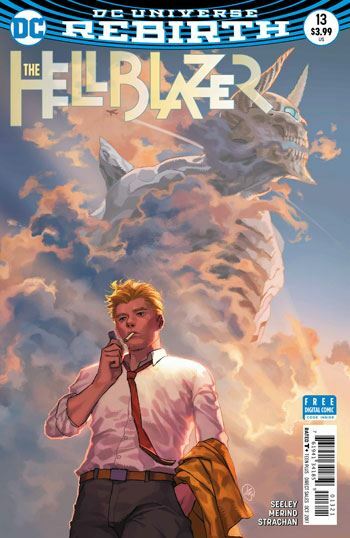 Constantine is filled with lust and sorrow as he looks at his past and the one of the detective he dated. I liked the ending of the story where Constantine appears to give up his fight for the well-being of the detective. We know this will not be though. Jesús Merino does bloke art well! Yes, that’s the best word that I have to describe the various British characters in this comic. They look like blokes and I like it! His John Constantine is not as photogenic as he could be. He lacks the Sting factor but it’s still John Constantine. It remains to be seen if he can do horror and gore. We’ll find out in the following issues!